@ Red Bull Unadilla National! 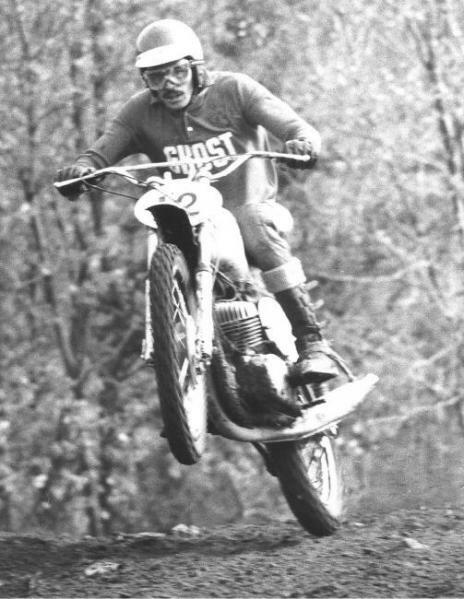 Manlius, NY: According to the AMA Hall of Fame, the first American factory sponsored motocross rider was Barry Higgins. Higgins, originally from New York, cut his teeth on east coast tracks in the early days of motocross as he challenged the Euros on the tracks in Unadilla, NY and Pepperell, MA. The year was 1969. American motocross was young and struggling to climb out of obscurity. Then, in October that same year, at the Inter-Am motocross race in Pepperell, MA, motocross got its big break: “ABC Wide World of Sports” showed up to film the event while exposing would-be American fans to the European stars who dominated the sport then. Although Sweden’s Arne Kring won the race on his works Husqvarna, CZ’s American rider, Barry Higgins, became an underdog hero to a national audience. As the top American rider, Higgins finished fifth on a 1969 Jawa CZ360, beating several European stars. Following that race, Higgins’ popularity soared while he continued to develop as a motocross racer, ultimately becoming a multi-time AMA National Champion. “Higgins was an early pioneer in our sport. As being one of the first American factory sponsored riders with the help of Ghost Motorcycle out of Hudson, NY along with support from the CZ factory, Barry paved the way for what was to be the “American Factory Racer”. It was Barry and Ward Robinson who helped scope out the original Unadilla farm land and carved the first track for the Euros vs. Americans to race on” remembers Mike Owens and Alex Moroz, Managing partners of the Legends & Heroes Tour. Following his racing career, Higgins remained in the motorcycling industry as he owned a successful KTM dealership near Atlanta for 28 years. He began full-time work for KTM North America Inc. in 2003. There, he has helped develop KTM’s amateur racing talent and prepare riders for the pro ranks. Barry Higgins was inducted into the AMA Motorcycle Hall of Fame in 2000. The Legends & Heroes of Motocross 2012 tour will honor Mr. Higgins this Saturday at the Red Bull Unadilla National at during the opening ceremonies. Mr. Higgins will also be at the Legends & Heroes display at 3:00pm Saturday for a meet and greet with the fans.